WINTER SCALE & EQUIPMENT AWARDED METTLER TOLEDO'S TOP 10 RETAIL PARTNER FOR 2017! Some of you may have not heard but last year we were awarded one of METTLER TOLEDOS Top 10 Retail Partners! 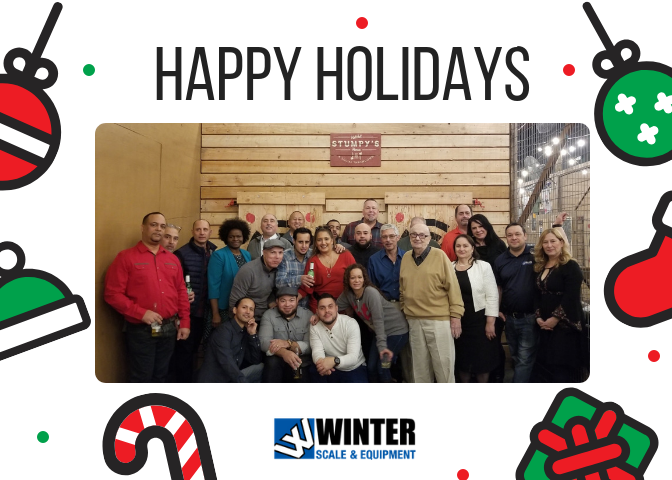 Thanks to the Fantastic array of products from METTLER TOLEDO, our incredible staff and last but not least , our customers, we were able to put together a banner year! NEW TEXT ALERT SYSTEM AT WINTER SCALE & EQUIPMENT! Winter Scale & Equipment has a new answer! We are happy to introduce our new, TEXT ALERT SYSTEM. New Mettler Toledo Step-Saver Wrapping Station With Enhanced Design!
" Improved Design Released "
Now the side shelves that come with every hand wrapping station can be folded! Saving time and increasing productivity! The side shelve and center shelve height were raised allowing more users to be able to use it comfortably. The enhanced design is available at no additional cost. NEW Tech Tracker @Winter Scale! Where is that Winter Scale technician? When is he gonna be here to fix my equipment? I need to meet the service guy at the store, but don't know when he will be there? Attention Hollymatic Users: Winter Scale & Equipment is now the authorized Hollymatic Dealer for the Tri-State Area! We are offering a Spring Tune-Up Special for just $175.00!